In astronomy, stellar classification is the classification of stars based on their spectral characteristics. Light from the star is analyzed by splitting it with a prism or diffraction grating into a spectrum exhibiting the rainbow of colours interspersed with absorption lines. Each line indicates an ion of a certain chemical element, with the line strength indicating the abundance of that ion. The relative abundance of the different ions varies with the temperature of the photosphere. The spectral class of a star is a short code summarising the ionization state, giving an objective measure of the photosphere's temperature and density. Most stars are currently classified under the Morgan–Keenan (MKK) system using the letters O, B, A, F, G, K, and M, a sequence from hottest (O) to coolest (M). Useful mnemonics for remembering the spectral type letters are "Oh, Be A Fine Guy/Girl, Kiss Me" or "Oh Boy, An F Grade Kills Me". To also include the colder spectral classes L, T and Y, the first mnemonic can be extended to "Oh, Be A Fine Guy/Girl, Kiss Me Later Today, Yolo". Each letter class is then subdivided using a numeric digit with 0 being hottest and 9 being coolest (eg. A8, A9, F0, F1 form a sequence from hotter to cooler). In the MKK system a luminosity class is added to the spectral class using Roman numerals. This is based on the width of certain absorption lines in the star's spectrum which vary with the density of the atmosphere and so distinguish giant stars from dwarfs. Luminosity class I stars are supergiants, class III regular giants, and class V dwarfs or main-sequence stars, with II for bright giants, IV for sub-giants, and VI for sub-dwarfs. The full spectral class for the Sun is then G2V, indicating a main-sequence star with a temperature around 5,800K. Class I: white and blue stars with broad heavy hydrogen lines, such as Vega and Altair. This includes the modern class A and early class F.
Class II: yellow stars—hydrogen less strong, but evident metallic lines, such as the Sun, Arcturus, and Capella. This includes the modern classes G and K as well as late class F.
Class III: orange to red stars with complex band spectra, such as Betelgeuse and Antares. This corresponds to the modern class M.
Class V: emission-line stars, such as γ Cassiopeiae and Sheliak. Note: The conventional color description takes into account only the peak of the stellar spectrum. However, in actuality stars radiate in all parts of the spectrum, and since all spectral colors combined appear white, the actual apparent colors the human eye would observe are lighter than the conventional color descriptions. The mass, radius, and luminosity listed for each class are appropriate only for stars on the main-sequence portion of their lives and so are not appropriate for red giants. The spectral classes O through M are subdivided by Arabic numerals (0–9). For example, A0 denotes the hottest stars in the A class and A9 denotes the coolest ones. The Sun is classified as G2. O Wolf-Rayet spectra with bright lines. The reason for the odd arrangement of letters is historical. The earlier classification of spectra by Angelo Secchi divided stars into those with prominent lines from the hydrogen Balmer series (group I, with a subtype representing many of the stars in the constellation of Orion); those with spectra which, like the Sun, showed calcium and sodium lines (group II); colored stars whose spectra showed wide bands (group III); and carbon stars (group IV). In the 1880s, the astronomer Edward C. Pickering began to make a survey of stellar spectra at the Harvard College Observatory, using the objective-prism method. A first result of this work was the Draper Catalogue of Stellar Spectra, published in 1890. Williamina Fleming classified most of the spectra in this catalogue. 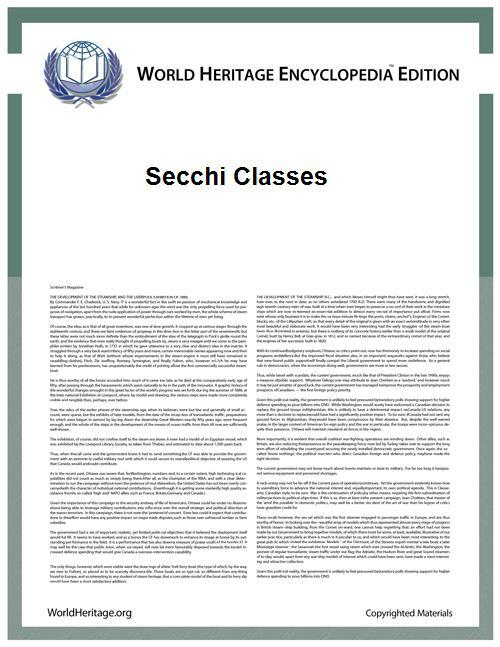 It used a scheme in which the previously used Secchi classes (I to IV) were divided into more specific classes, given letters from A to N. Also, the letters O, P and Q were used, O for stars whose spectra consisted mainly of bright lines, P for planetary nebulae, and Q for stars not fitting into any other class. In 1897, another worker at Harvard, Antonia Maury, placed the Orion subtype of Secchi class I ahead of the remainder of Secchi class I, thus placing the modern type B ahead of the modern type A. She was the first to do so, although she did not use lettered spectral types, but rather a series of twenty-two types numbered from I to XXII. In 1901, Annie Jump Cannon returned to the lettered types, but dropped all letters except O, B, A, F, G, K, and M, used in that order, as well as P for planetary nebulae and Q for some peculiar spectra. She also used types such as B5A for stars halfway between types B and A, F2G for stars one-fifth of the way from F to G, and so forth. Finally, by 1912, Cannon had changed the types B, A, B5A, F2G, etc. to B0, A0, B5, F2, etc. This is essentially the modern form of the Harvard classification system. The fact that the Harvard classification of a star indicated its surface temperature was not fully understood until after its development, though by the time the first Hertzsprung-Russell diagram was formulated (by 1914), this was generally suspected to be true. In the 1920s, the Indian physicist Meghnad Saha derived a theory of ionization by extending well-known ideas in physical chemistry pertaining to the dissociation of molecules to the ionization of atoms. First applied to the solar chromosphere, he then applied it to stellar spectra. The Harvard astronomer Cecilia Helena Payne (later to become Cecilia Payne-Gaposchkin) then demonstrated that the OBAFGKM spectral sequence is actually a sequence in temperature. Because the classification sequence predates our understanding that it is a temperature sequence, the placement of a spectrum into a given subtype, such as B3 or A7, depends upon (largely subjective) estimates of the strengths of absorption features in stellar spectra. As a result, these subtypes are not evenly divided into any sort of mathematically representable intervals. O, B, and A stars are sometimes called "early type", while K and M stars are said to be "late type". This stems from an early 20th-century model of stellar evolution in which stars were powered by gravitational contraction via the Kelvin–Helmholtz mechanism in which stars start their lives as very hot "early-type" stars, and then gradually cool down, thereby evolving into "late-type" stars. This mechanism provided ages of the Sun that were much smaller than what is observed, and was rendered obsolete by the discovery that stars are powered by nuclear fusion. However, brown dwarfs, whose energy comes from gravitational attraction alone, cool as they age and so progress to later spectral types. The highest-mass brown dwarfs start their lives with M-type spectra and will cool through the L, T, and Y spectral classes. The Sun itself is white and approximates a black body of 5780 K (see color temperature). It is sometimes called a yellow star, spectroscopically relative to Vega, may appear yellow or red when viewed through the atmosphere, or appear white if viewed when too bright for the eye to see any color. This is a natural consequence of the evolution of human optical senses: the response curve that maximizes the overall efficiency against solar illumination will by definition perceive the Sun as white although there is some subjective variation between observers. The D65 standard closely mimics the spectrum of the Sun although it is intended to represent a 6500K blackbody light source. The color of the Sun is subtly different from D65 and is a faint peachy shade relative to it. The Yerkes spectral classification, also called the MKK system from the authors' initials, is a system of stellar spectral classification introduced in 1943 by William Wilson Morgan, Philip C. Keenan, and Edith Kellman from Yerkes Observatory. This two-dimensional (temperature and luminosity) classification scheme is based on spectral lines sensitive to stellar temperature and surface gravity which is related to luminosity (whilst the Harvard classification is based on surface temperature only). Later, in 1953, after some revisions of list of standard stars and classification criteria, the scheme was named MK (by William Wilson Morgan and Phillip C. Keenan initials). Since the radius of a giant star is much greater than a dwarf star while their masses are roughly comparable, the gravity and thus the gas density and pressure on the surface of a giant star are much lower than for a dwarf. These differences manifest themselves in the form of luminosity effects which affect both the width and the intensity of spectral lines which can then be measured. Denser stars with higher surface gravity will exhibit greater pressure broadening of spectral lines. "Vz", Example: LH10 : 3102 (spectrum O7 Vz), located in the Large Magellanic Cloud. VI subdwarfs. Subdwarfs are generally represented with a prescript of sd or esd (extreme subdwarf) in front of the spectra. VII (uncommon) white dwarfs. White dwarfs are represented with a prescript wD or WD. Marginal cases are allowed; for instance a star classified as Ia-0 would be a very luminous supergiant, verging on hypergiant. Examples are below. The spectral type of the star is not a factor. G2 I-II A star is between supergiant and bright giant. O9.5 Ia+ A star is a hypergiant star. F2 IV/V A star is either a subgiant or a dwarf star. The following illustration represents star classes with the colors very close to those actually perceived by the human eye. The relative sizes are for main-sequence (or "dwarf") stars. 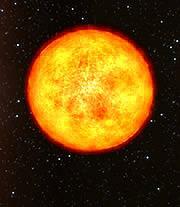 Class O stars are very hot and extremely luminous, with most of their radiated output in the ultraviolet range. These are the rarest of all main-sequence stars. About 1 in 3,000,000 (0.00003%) of the main-sequence stars in the solar neighborhood are class O stars. [nb 1] Some of the most massive stars lie within this spectral class. Class O stars frequently have complicated surroundings which make measurement of their spectra difficult. O stars have dominant lines of absorption and sometimes emission for He II lines, prominent ionized (Si IV, O III, N III, and C III) and neutral helium lines, strengthening from O5 to O9, and prominent hydrogen Balmer lines, although not as strong as in later types. Because they are so massive, class O stars have very hot cores and burn through their hydrogen fuel very quickly, so they are the first stars to leave the main sequence. When the MKK classification scheme was first described in 1943, the only subtypes of class O used were O5 to O9.5. The MKK scheme was extended to O9.7 in 1971 and O4 in 1978, and new classification schemes have subsequently been introduced which add types O2, O3 and O3.5. Pismis 24-1 (one of the most luminous stars known). Class B stars are very luminous and blue. Their spectra have neutral helium, which are most prominent at the B2 subclass, and moderate hydrogen lines. Ionized metal lines include Mg II and Si II. As O and B stars are so powerful, they only live for a relatively short time, and thus they do not stray far from the area in which they were formed. Most notable are the H and K lines of Ca II, which are most prominent at G2. They have even weaker hydrogen lines than F, but along with the ionized metals, they have neutral metals. There is a prominent spike in the G band of CH molecules. G is host to the "Yellow Evolutionary Void". Supergiant stars often swing between O or B (blue) and K or M (red). While they do this, they do not stay for long in the yellow supergiant G classification as this is an extremely unstable place for a supergiant to be. "K STAR" redirects here. For the Korean nuclear fusion project, see KSTAR. Class K stars are orangish stars that are slightly cooler than the Sun. They make up about 12%, nearly one in eight, of the main-sequence stars in the solar neighborhood. [nb 1] Some K stars are giants and supergiants, such as Arcturus, while orange dwarfs, like Alpha Centauri B, are main-sequence stars. They have extremely weak hydrogen lines, if they are present at all, and mostly neutral metals (Mn I, Fe I, Si I). By late K, molecular bands of titanium oxide become present. There is a suggestion that K Spectrum stars may potentially increase the chances of life developing on orbiting planets that are within the habitable zone. Class M stars are by far the most common. About 76% of the main-sequence stars in the Solar neighborhood are class M stars. [nb 1][nb 2] However, because main-sequence stars of spectral class M have such low luminosities, none are bright enough to be visible to see with the unaided eye. The brightest known M-class main-sequence star is M0V Lacaille 8760 at magnitude 6.6 (the fractionally brighter Groombridge 1618 was once considered to be class M0 but is now considered to be as K5) and it is extremely unlikely that any brighter examples will be found. Although most class M stars are red dwarfs, the class also hosts most giants and some supergiants such as VY Canis Majoris, Antares and Betelgeuse, as well as Mira variables. Furthermore, the late-M group holds hotter brown dwarfs that are above the L spectrum. This is usually in the range of M6.5 to M9.5. The spectrum of a class M star shows lines belonging to oxide molecules, TiO in particular, in the visible and all neutral metals, but absorption lines of hydrogen are usually absent. TiO bands can be strong in class M stars, usually dominating their visible spectrum by about M5. Vanadium monoxide bands become present by late M.
Class W or WR represents the Wolf–Rayet stars, notably unusual since they have mostly helium in their atmospheres instead of hydrogen. They are thought to mostly be dying supergiants with their hydrogen layers blown away by stellar winds, thereby directly exposing their hot helium shells. Class W is further divided into subclasses according to the dominance of nitrogen and carbon emission lines in their spectra (and outer layers). WNE (WN2 to WN5 with some WN6), hotter or "early"
WNL (WN7 to WN9 with some WN6), cooler or "late"
WCE (WC4 to WC6), hotter or "early"
WCL (WC7 to WC9), cooler or "late"
The slash stars are stars with O-type spectra and WN sequence in their spectra. The name slash comes from their spectra having a slash. There is a secondary group found with this spectra, a cooler, "intermediate" group with designation of Ofpe/WN9. These stars have also been referred to as WN10 or WN11, but that has become less popular with the realisation of the evolutionary difference to other Wolf-Rayet stars. Recent discoveries of even rarer stars have extended the range of slash stars as far as O2-3.5If*/WN5-7, which are even hotter than the original slash stars. In lists of spectra, the "spectrum OB" may occur. This is in fact not a spectrum, but a marker which means that "the spectrum of this star is unknown, but it belongs to an OB association, so probably either a class O or class B star, or perhaps a fairly hot class A star." The new spectral types L, T and Y were created to classify infrared spectra of cool stars. This includes both red dwarfs and brown dwarfs that are very faint in the visual spectrum. Class L dwarfs get their designation because they are cooler than M stars and L is the remaining letter alphabetically closest to M. L does not mean lithium dwarf; a large fraction of these stars do not have lithium in their spectra. Some of these objects have masses large enough to support hydrogen fusion, but some are of substellar mass and do not, so collectively these objects should be referred to as L dwarfs, not L stars. They are a very dark red in color and brightest in infrared. Their atmosphere is cool enough to allow metal hydrides and alkali metals to be prominent in their spectra. Due to low gravities in giant stars, TiO- and VO-bearing condensates never form. Thus, larger L-type stars can never form in an isolated environment. It may be possible for these L-type supergiants to form through stellar collisions, however, an example of which is V838 Monocerotis. L: 1,300–2,000 K, dwarfs (some stellar, some substellar) with metal hydrides and alkali metals prominent in their spectra. Class T dwarfs are cool brown dwarfs with surface temperatures between approximately 700 and 1,300 K. Their emission peaks in the infrared. Methane is prominent in their spectra. Class T and L could be more common than all the other classes combined if recent research is accurate. Study of the number of proplyds (protoplanetary discs, clumps of gas in nebulae from which stars and planetary systems are formed) indicates that the number of stars in the galaxy should be several orders of magnitude higher than what we know about. It is theorized that these proplyds are in a race with each other. The first one to form will become a proto-star, which are very violent objects and will disrupt other proplyds in the vicinity, stripping them of their gas. The victim proplyds will then probably go on to become main-sequence stars or brown dwarfs of the L and T classes, which are quite invisible to us. Because brown dwarfs can live so long, these smaller bodies accumulate over time. The spectral class Y are brown dwarfs that are cooler than T dwarfs and have qualitatively different spectra from them. As of Aug 2013 17 objects have been placed in class Y. Although such dwarfs have been modelled and detected within forty light years by the Wide-field Infrared Survey Explorer (WISE) there is no well-defined spectral sequence yet with prototypes. Nevertheless, several objects have been assigned spectral classes Y0, Y1, and Y2. The spectra of these objects display absorption around 1.55 micrometers. Delorme et al. has suggested that this feature is due to absorption from ammonia and that this should be taken as indicating the T–Y transition, making these objects of type Y0. In fact, this ammonia-absorption feature is the main criterion that has been adopted to define this class. However, this feature is difficult to distinguish from absorption by water and methane, and other authors have stated that the assignment of class Y0 is premature. The coolest known brown dwarf, WISE 1828+2650, is a Y dwarf with an estimated effective temperature around 300 K, around the temperature of the human body. The mass range for Y dwarfs is 6–25 Jupiter masses, which means that Y class objects straddle the 13-Jupiter mass deuterium-fusion limit that marks the division between brown dwarfs and planets. Carbon-related stars are stars whose spectra indicate production of carbon by helium triple-alpha fusion. With increased carbon abundance, and some parallel s-process heavy element production, the spectra of these stars become increasingly deviant from the usual late spectral classes G, K and M. The giants among those stars are presumed to produce this carbon themselves, but not too few of this class of stars are believed to be double stars whose odd atmosphere once was transferred from a former carbon star companion that is now a white dwarf. Originally classified as R and N stars, these are also known as 'carbon stars'. These are red giants, near the end of their lives, in which there is an excess of carbon in the atmosphere. The old R and N classes ran parallel to the normal classification system from roughly mid G to late M. These have more recently been remapped into a unified carbon classifier C, with N0 starting at roughly C6. Another subset of cool carbon stars are the J-type stars, which are characterized by the strong presence of molecules of 13CN in addition to those of 12CN. A few dwarf (that is, main-sequence) carbon stars are known, but the overwhelming majority of known carbon stars are giants or supergiants. Class S stars have zirconium monoxide lines in addition to (or, rarely, instead of) those of titanium monoxide, and are in between the class M stars and the carbon stars. S stars have excess amounts of zirconium and other elements produced by the s-process, and have their carbon and oxygen abundances closer to equal than is the case for M stars. The latter condition results in both carbon and oxygen being locked up almost entirely in carbon monoxide molecules. For stars cool enough for carbon monoxide to form that molecule tends to "eat up" all of whichever element is less abundant, resulting in "leftover oxygen" (which becomes available to form titanium oxide) in stars of normal composition, "leftover carbon" (which becomes available to form the diatomic carbon molecules) in carbon stars, and "leftover nothing" in the S stars. The relation between these stars and the ordinary M stars indicates a continuum of carbon abundance. Like carbon stars, nearly all known S stars are giants or supergiants. In between the M class and the S class, border cases are named MS stars. In a similar way border cases between the S class and the C-N class are named SC or CS. The sequence M → MS → S → SC → C-N is believed to be a sequence of increased carbon abundance with age for carbon stars in the asymptotic giant branch. DA: a hydrogen-rich atmosphere or outer layer, indicated by strong Balmer hydrogen spectral lines. DB: a helium-rich atmosphere, indicated by neutral helium, He I, spectral lines. DO: a helium-rich atmosphere, indicated by ionized helium, He II, spectral lines. DQ: a carbon-rich atmosphere, indicated by atomic or molecular carbon lines. DZ: a metal-rich atmosphere, indicated by metal spectral lines (a merger of the obsolete white dwarf spectral types, DG, DK and DM). Two or more of the type letters may be used to indicate a white dwarf which displays more than one of the spectral features above. Also, the letter V is used to indicate a variable white dwarf. DAB: a hydrogen- and helium-rich white dwarf displaying neutral helium lines. DAO: a hydrogen- and helium-rich white dwarf displaying ionized helium lines. DAZ: a hydrogen-rich metallic white dwarf. DBZ: a helium-rich metallic white dwarf. GW Vir, sometimes divided into DOV and PNNV: a hot helium-rich pulsating white dwarf (or pre-white dwarf. ), §1.1, 1.2; These stars are generally PG 1159 stars, although some authors also include non-PG 1159 stars in this class. DCV or Gliese 86 B: a cool helium-rich white dwarf. These objects are not stars but are stellar remnants. They are much dimmer and if placed on the HR diagram, would be placed further to the lower left-hand corner. This section addresses the probability of life arising around other stars. Stability, luminosity, and lifespan are all factors in stellar habitability. We only know of one star that hosts life, and that is our own; a G-class star with an abundance of heavy elements and low variability in brightness. It is also unlike many stellar systems in that it only has one star in it (see Planetary habitability, under the binary systems section). Working from these constraints and the problems of having an empirical sample set of only one, the range of stars that are predicted to be able to support life as we know it is limited by a few factors. Of the main-sequence star types, stars more massive than 1.5 times that of the Sun (spectral types O, B, and A) age too quickly for advanced life to develop (using Earth as a guideline). On the other extreme, dwarfs of less than half the mass of the Sun (spectral type M) are likely to tidally lock planets within their habitable zone, along with other problems (see Habitability of red dwarf systems). While there are many problems facing life on red dwarfs, due to their sheer numbers and longevity many astronomers continue to model these systems. For these reasons NASA's Kepler Mission is searching for habitable planets at nearby main-sequence stars that are less massive than spectral type A but more massive than type M – making the most probable stars to host life dwarf stars of types F, G, and K.
WR stars with emission lines due to hydrogen. WR stars with hydrogen emissions seen on both absorption and emission. For example, Epsilon Ursae Majoris is listed as spectral type A0pCr, indicating general classification A0 with strong emission lines of the element chromium. There are several common classes of chemically peculiar stars, where the spectral lines of a number of elements appear abnormally strong. Stars that exhibit change in luminosity are variable stars. There is a variable star classification scheme that encompasses existing stars that are classified in the spectra classification. Stars can also be classified using photometric data from any photometric system. For example, we can calibrate color index diagrams of U−B and B−V in the UBV system according to spectral and luminosity classes. Nevertheless, this calibration is not straightforward, because many effects are superimposed in such diagrams: interstellar reddening, color changes due to metallicity, and the blending of light from binary and multiple stars. Photometric systems with more colors and narrower passbands allow a star's class, and hence physical parameters, to be determined more precisely. The most accurate determination comes of course from spectral measurements, but there is not always enough time to get qualitative spectra with high signal-to-noise ratio.